Kathryn Cooper is a freelance humanitarian photographer, travel photojournalist, and event shooter based in New York City and California. Her journalistic photography style has led her to travel gigs overseas, humanitarian documentation across multiple continents, conferences around the country, and television shoots in NYC. In addition to freelance photography, she also works as a copywriter, product brainstormer, nonprofit consultant, travel journalist, and food writer. These creative jobs—along with her passion for adventure travel and outdoor exploration--give her photos a truly unique perspective and engaging style. Photographing anything but the usual, she often accompanies people on helicopter shoots to private islands, photographs under the water, travels to remote destinations, and more. 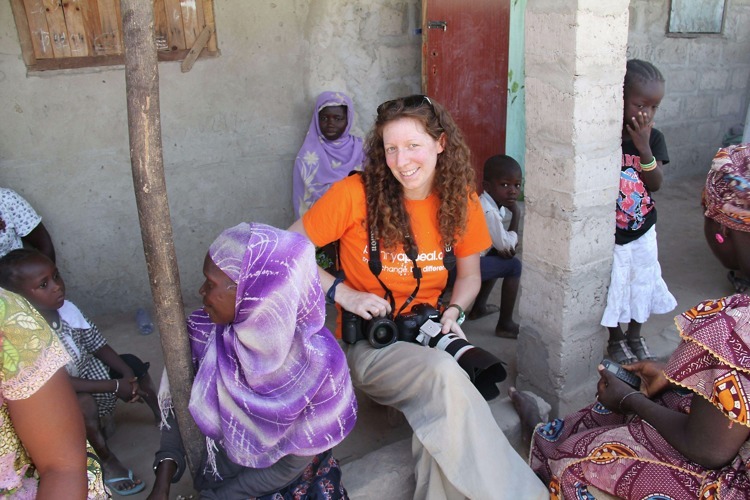 Her photography experience ranges from nonprofit, travel, and parties to headshots, movie sets, concerts, and food television—though her passion is working as a humanitarian photographer in various parts of the world. Clients include Food Network, Cooking Channel, Science Channel, NBC Universal, Active Minds, FoodtoEat, C-CAP, Penny Appeal, Strong Cities, and more. Want to know what Kathryn's up to? Just follow her Facebook page for [occasionally] up-to-date information on where in the world she is. The end of 2017 until 2018 found her road tripping around New Zealand, and February had her photographing a few projects for nonprofit clients. In April, she'll be in Chicago photographing an Indian celebration, California doing shoots in the desert, and more. Please email info@KathrynCooperPhotography.com for pricing and availability. Riding a camel at a Rajasthani wedding while wearing a sari. It was no easy feat!